The Stark Online: New Tallest Man on Earth! New Tallest Man on Earth! 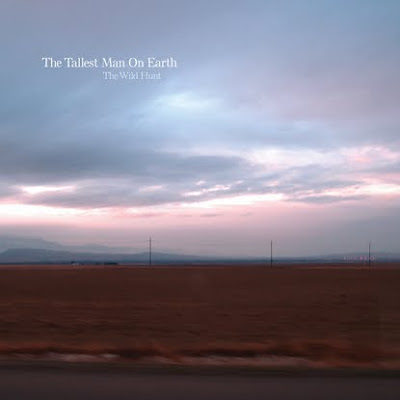 [mp3] Tallest Man on Earth: "King of Spain"
Can you see a theme developing here today? We're absolutely thrilled to share the news with you today that long-time favorite and friend of Stark, The Tallest Man on Earth (Kristian Matsson) has signed to Dead Oceans and will be releasing The Wild Hunt on April 13th. We have the first track for you, "King of Spain" above. You may recognize the track from his live performances. The Wild Hunt is Matsson's follow-up to his marvelous debut (and Stark #1 record of 2008) Shallow Grave. There are not many readers of this site who are not already familiar with the mysterious, yet, remarkably friendly Swedish songwriter, but for the new-initiates, his music is a striking amalgamation of Appalachian-style Southern folk, talented finger-picking, and a gravely croon, that brings obvious references to early Dylan. He's the predominant songwriting talent on the market today, and we offer a huge congratulations to his team, and the Tallest Man himself. Well done!